Well, it's official! A few months after the soft opening of the Heart Deco line at Victoire, we are having a real honest-to-goodness launch on Thursday June 5th from 5-9pm at the Wellington St. shop. I'll be in-store all night, and am very excited to meet party-goers and chat with them about the line. I've already had so many great interactions with customers - both near and far - in the last few months. Meeting people and hearing their stories is definitely one of the highlights of this endeavour. So please come out just to chat & take a peek! The party will be a wedding-themed event, hosted by Victoire at 1282 Wellington St. West. They have a great selection of white cocktail dresses in stock, as well as some vintage bridal wear. If any one is still looking for a dress for a rehearsal dinner/party/casual wedding dress, I highly recommend you check these out. (Also perfect if you're having a destination wedding next winter!) Vanessa from Sparrow Floral Design will also be in store with some of her gorgeous arrangements and bouquets. She is one of my very favourite Ottawa florists, and I'm so excited to be collaborating on this with her! Also, there will be punch and a custom-made wedding cake for everyone who comes out! To be completely honest, purple has never been one of my favourite colours. Though I love to wear and use colour in general, I own very few items in this particular shade. If there is one thing that always makes me question this (lack of) preference, it's amethyst. Amethyst gemstones & raw quartz alike never fail to make me swoon a little. From the palest lilac to the deepest royal hue, they all work their magic on me. I think amethysts are just sweet. They are what I used to think diamonds were like. Long ago, before I had ever seen a diamond, I read about them and I tried to imagine what they would be like. I thought they would be lovely glimmering purple stones. When I saw a real diamond in a lady's ring one day I was so disappointed I cried. Of course, it was very lovely but it wasn't my idea of a diamond. Oh, Anne. At least there was a gem that lived up to her imagination, even if it wasn't a diamond! I like to think she would approve of this sweet ring, combining as it does, both the "very lovely" diamonds, and the "glimmering purple stones" of her dreams. 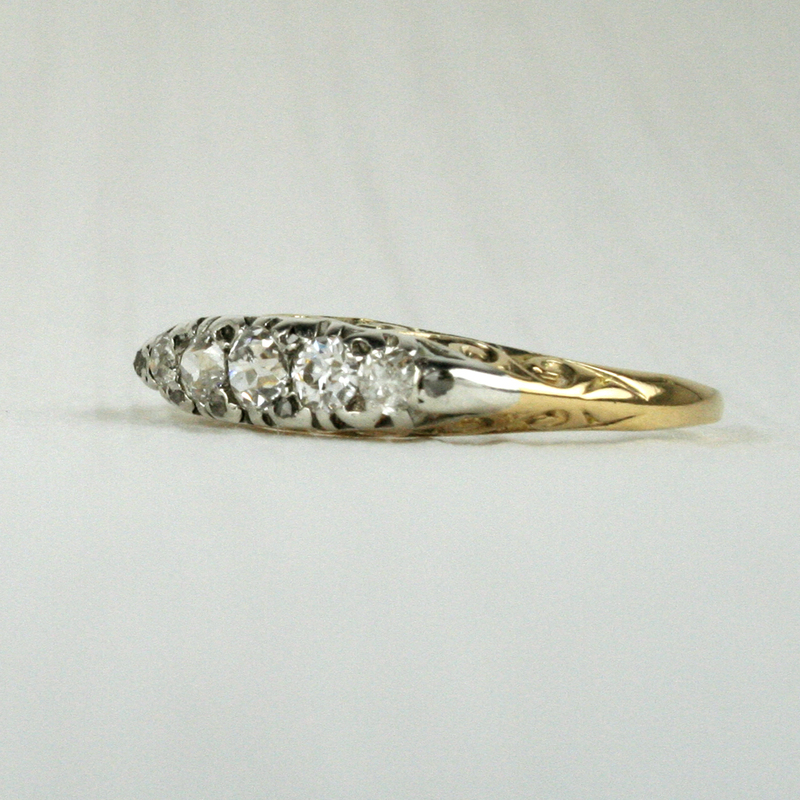 Needless to say, I'm pretty smitten with this little Victorian-era beauty! Set with two beautiful oval amethysts and four rose-cut diamonds, it has presence to spare packed into a relatively small size. Now for sale in the Heart Deco shop. 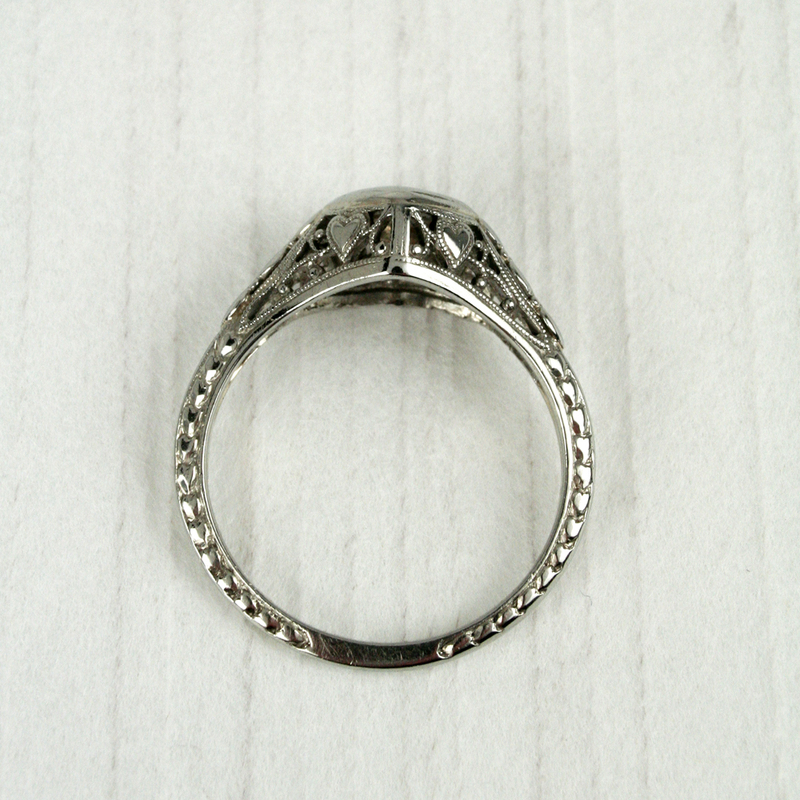 You can also see this ring locally in Ottawa at the Wellington St. West Victoire shop. Heart Deco online shop is now live! And don't forget that the collection is available to local Ottawa shoppers at Victoire's shop on 1282 Wellington St. West! Hello & Welcome to Heart Deco! I am so very happy to announce that my collection of Heart Deco antique rings & ring boxes are now for sale at Victoire (1282 Wellington St. W. Ottawa, ON)! 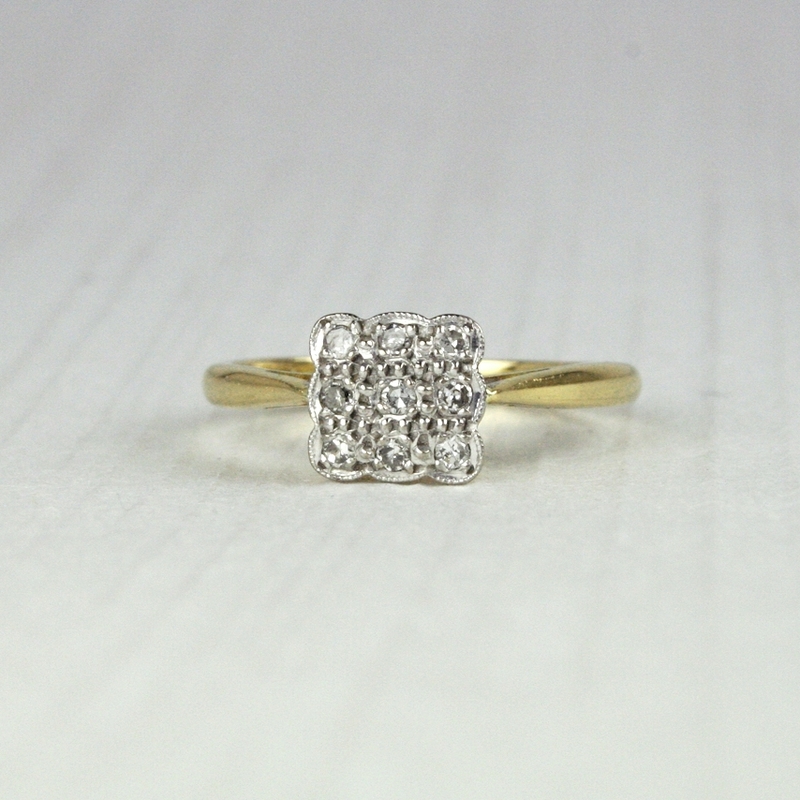 I will write more about it at a later time, but the whole idea for Heart Deco was born after a long search for a new-to-me antique ring to replace my wedding ring. I fell head over heels for the romance of these beautiful antique pieces, but was frustrated by the lack of availability and affordability. As is the case with many vintage goods, it was difficult to find what I was looking for locally. I suspected that there must be other people like me - people who have a love & appreciation of the design & level of craftsmanship found in antique jewellery; people who are tired of the modern wedding & diamond industry; people who want to be able to buy something special - for themselves or a loved one - without breaking the bank. I knew that if I could pull this idea off, I would likely end up selling online (more on that later). But, I wanted very much to have a local component, in order to offer these items to people in Canada who were facing the same lack of choices that I had. I am a long-time supporter & lover of the Victoire boutiques. I've known Régine & Katie for many years, and have the highest respect for their business model & work ethic. These ladies know how to work hard; and more than that, they are unfailingly generous with their hard-won knowledge. When I approached them with this idea (not even a plan at the time), Katie said yes, please! before I could even finish my pitch. I figured if there were any ladies in Ottawa who would be interested in Heart Deco, they would be shopping at Victoire anyways! Thank you so much to Katie, Régine, and all the amazing staff at the shop - I'm so excited to be working with you!! 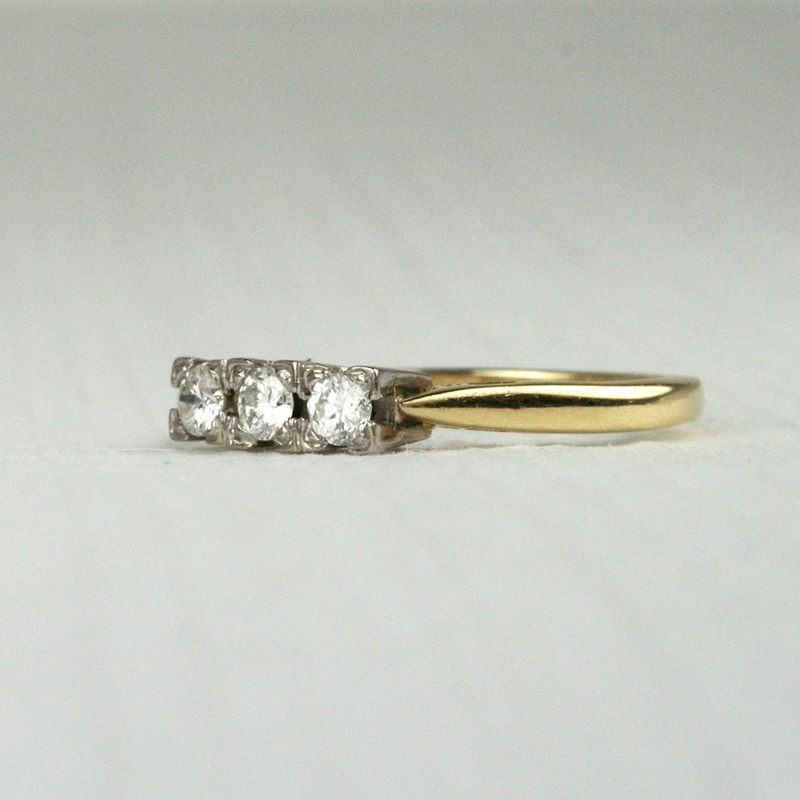 In addition to the rings in this first collection (retail from approx. 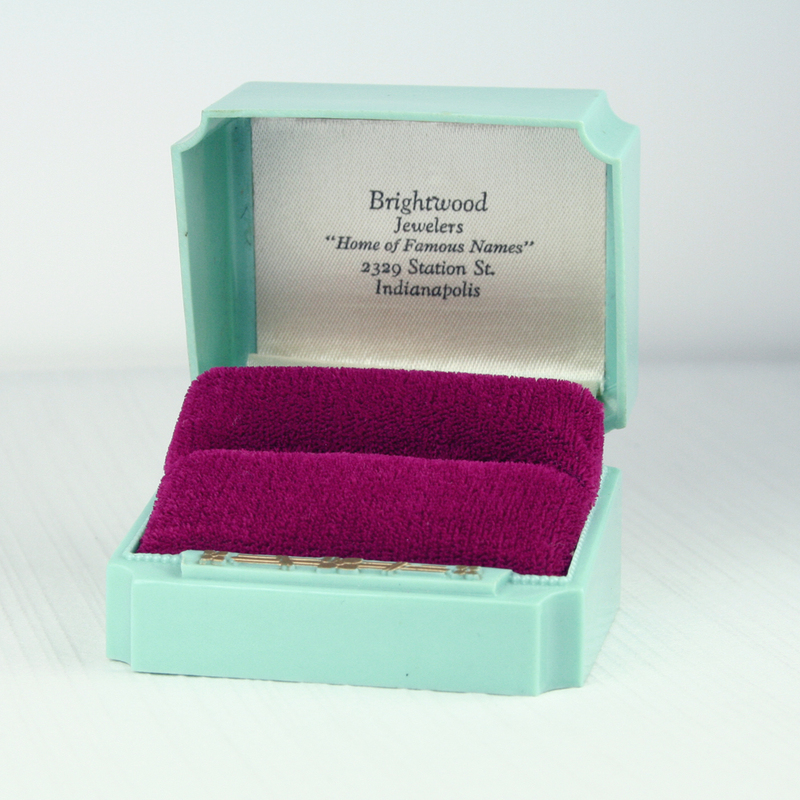 $200-$700), there is an adorable selection of vintage & antique ring boxes. 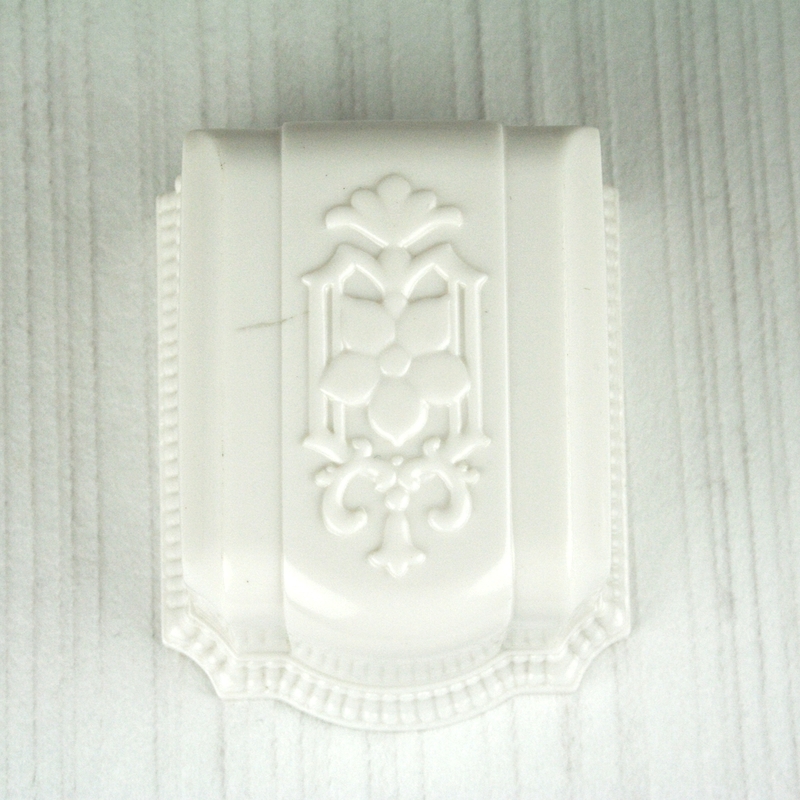 Most of them are Art Deco style celluloid (an early plastic) from c1930s and 1940s. When I first stumbled on these, I knew I had to include them in the collection. They are perfect for any reason - including just sitting on your dresser and looking pretty - but I especially love them for wedding or engagement photo shoots. 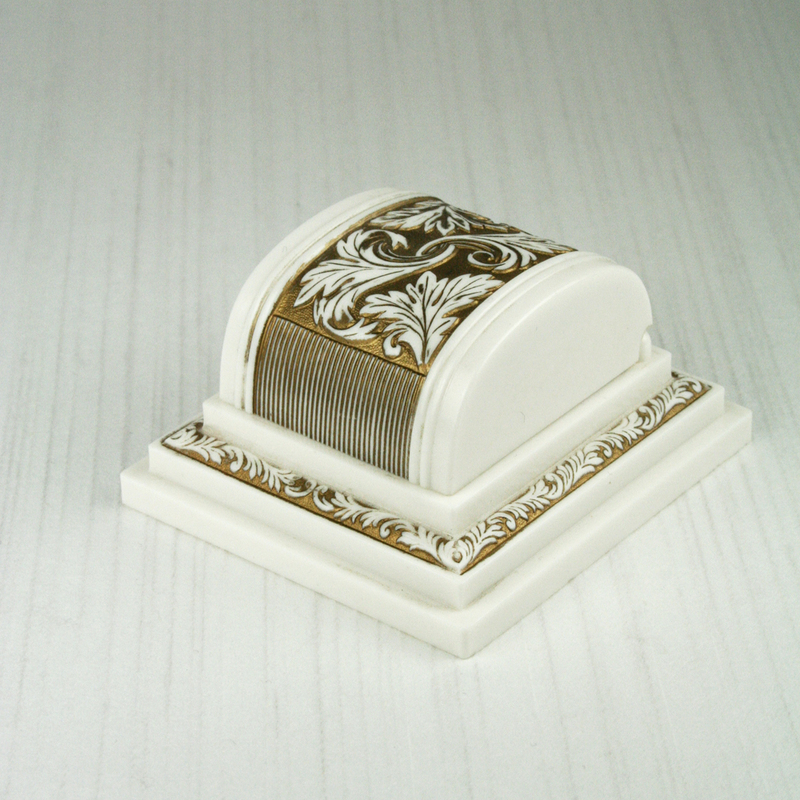 There are a bunch of styles and colours, with a few double ring boxes as well. They retail from approx. $30-$70. Thanks to everyone visiting the site for the first time & welcome to Heart Deco! Please feel free to contact me with any questions you might have. Hello & Welcome! My name is Grace, and I'm a lover of vintage & antique jewellery, Art Deco design, black & white films, beautiful typography, and handmade goods of all kinds.